You’ll be among industry experts and evangelists in their own way, all driven to develop. Always. We have the right job for you. 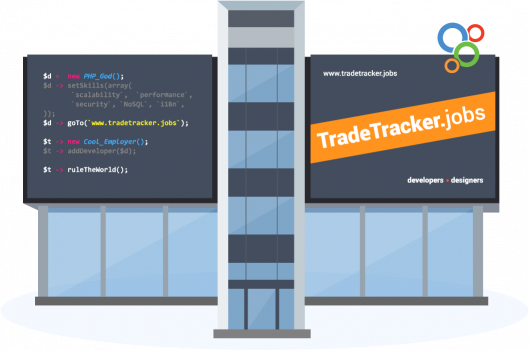 Different teams and roles are currently available at TradeTracker.com, ranging from commercial positions or management roles in different countries to showing off your skills writing amazing code for any of our services!